T hanks to everyone who gave us their Green Waitrose Tokens when shopping in Ringwood, Hampshire. 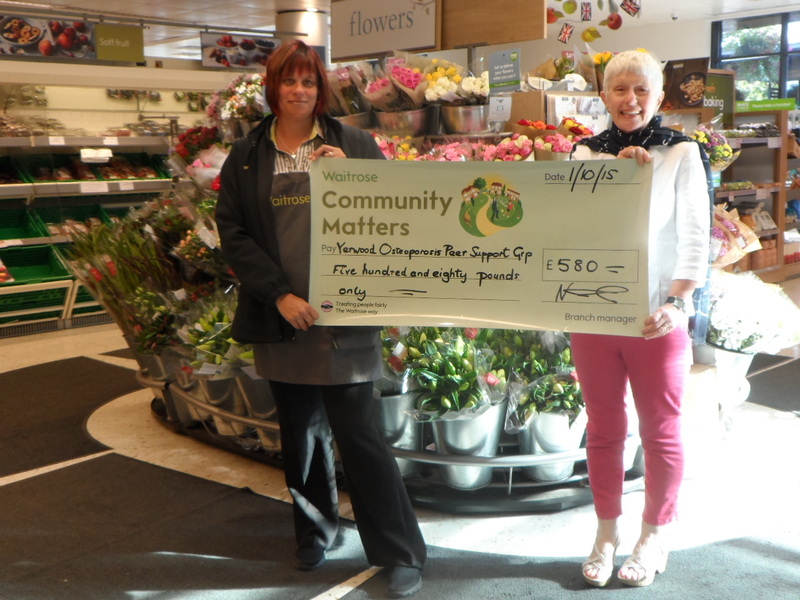 Osteoporosis Dorset got the most tokens and have received a £580.00 donation from the lovely people at Waitrose. 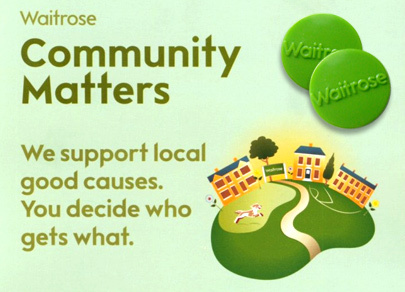 Launched in 2008, Waitrose’s Community Matters initiative has donated over £14 million to a range of charities and community groups and helped over 8,000 worthy causes. Using tokens provided at the till, customers decide how much of the monthly total is given to the three charities or community groups, nominated by customers and selected by Partners. Their head office, Leckford Estate and Distribution Centres also make similar monthly contributions.